I have officiated 80,000 weddings the last 25 years and you believe you've seen it all until I came to The Casino in San Clemente where their venue is set up for a wedding in the round. Rev. 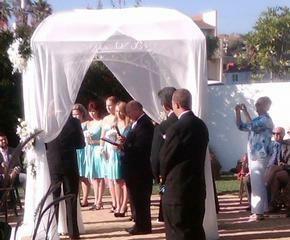 Ron weddings of San Diego officiated the wedding of Amber and Angel where this unusual and distinct venue sets up your guests in the round. 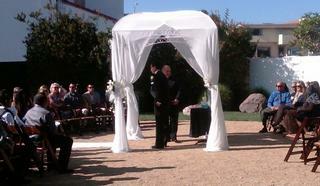 The ceremony takes place outside in an intimate garden setting. The historic Casino Ballroom, modeled after the famous Casino in Catalina Island overflowed with music and starlets at its infamous grand opening almost 75 years ago. Big bands played and were radio broadcast far and wide while dancers enjoyed the floating dance floor, patio dining and ocean breezes. 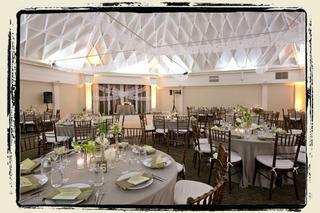 The ballroom is furnished with eclectic vintage and antique furniture for your guests to enjoy. 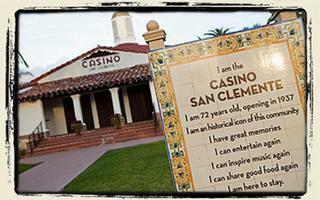 Take a break from the party and walk along romantic San Clemente beach directly across the street. 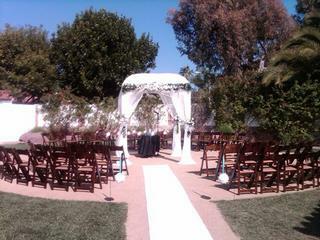 A must see venue for North San Diego,South Orange County Couples and Destinatiion weddings.